You can choose essential oils or natural infusion add your plant preparations to benefit from all the properties of mint. If you look at the market (more precisely the beauty and perfume sector) you can find many examples of plants beneficial for our health. All those components are part of creams, lotions, shampoos or conditioners we may also use the naturally. One case is mint, which provides properties for the health of our hair. What is the mint shampoo? There are many benefits of this plant to our beauty and health. If you want to have a beautiful, radiant hair, feel free to use mint. It eliminates many of the typical problems related to hair and scalp! Mint acts in different ways. Firstly, because it soothe the itching and also serve to destroy those pesky parasites who take over our heads and leave us alone. It also reduces itching and inflammation caused by dandruff. Peppermint soothes irritation, so scratching desires disappear. Therefore many dandruff shampoos include this herb in their formulas. If you combine your regular shampoo with some peppermint essential oil and vigorously massaging the scalp will achieve stimulate blood flow to the area. This will result in a stronger, healthier hair grow faster. In case you have oily hair, dull and brittle can enjoy the benefits of mint in some homemade recipes shampoo. If you have this type of hair you know that for more than they wash, then seem that much I did not clean as it should be done. The sebaceous glands work more than usual and the result is excessive grease in the hair strands. Mint shampoo can help to reverse or control the situation. Heat the distilled water, and when a boil, remove from heat. Check mint leaves and a tablespoon of lemon balm. Add the lemon zest. Cover and let stand for 30 minutes. After this time, strain and reserve the water. Add the peppermint essential oil and stir well. Finally, add shampoo and blend. Put it in a jar with a tight lid and store in the fridge when you’re not using. In these harsh conditions 4 weeks before spoiling. If you do not have the items in the above recipe (especially peppermint essential oil, which is harder to get) you can opt for the second alternative with the same properties for your oily hair. Boil the water. Meanwhile, finely chop the mint leaves and rosemary. When the water to boil, remove from heat, take the herbs and set aside half an hour. Over time recommended strain and reserve the water. Integrates with shampoo and set. Now you can use! Of course choices abound and fortunately you can always prepare the recipe that suits you, whether you like or which have the necessary components. In this case, addition of mint, leads sage. Place water in the fire and check sage and mint (both dry and chopped). When boiling let the decoction is performed for about 15 minutes. Remove from heat and cover to infuse well. Filter and pour the liquid into the bottle of shampoo (or other container and then packaged). Wash the hair with this homemade recipe every other day. A final option for improving this hair problem as usual. Do not despair! There is a solution for you. Heat the water and, when it boils, remove from heat. Add mint and dried thyme, cover and allow to infuse for 5 minutes before straining. Grate the soap and mixed with the previous liquid. When it has cooled completely transferred to a container and stored in the refrigerator. You can use any regular shampoo. Recipe 5 – For hair loss? 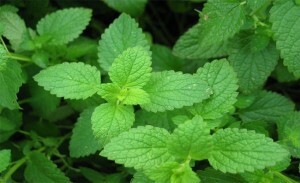 There is also a natural alternative with mint if the hair will usually fall much. First, heat the water and, when it comes to a boil, add the herbs (nettle, thyme and mint). Leave to infuse for 20 minutes covered. Then filtered and mixed with neutral shampoo. Pour the essential oil and lemon juice (can also be essential lemon oil). Finally, add vitamin E (It is available in health food capsules houses) and removed to fit properly homogeneous. When cool passes into a container or bottle of shampoo and used every time you wash your head.